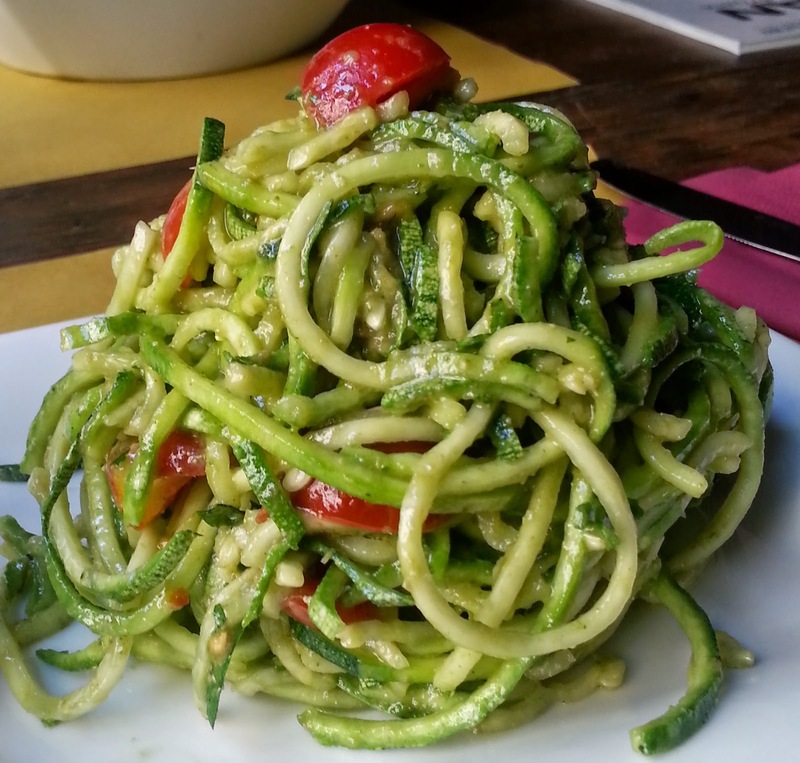 Despite the stereotype, eating vegan and raw in Italy is getting more and more popular, even in a city like Turin and a region like Piedmont, where in a way or another, some animal products are almost always included in the restaurant menus and family diets. 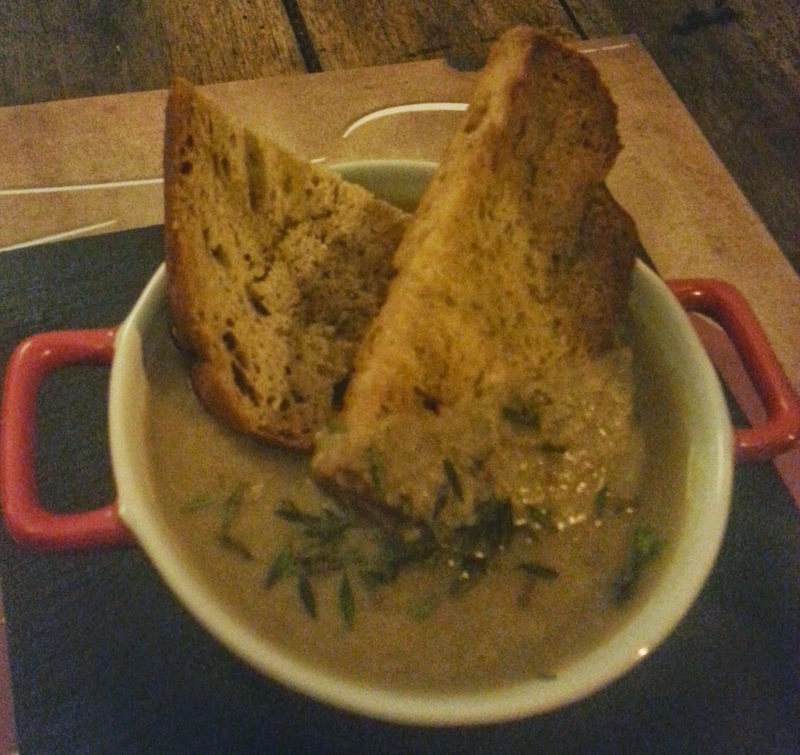 Following a dear friend's suggestion, back in September we had the chance to meet Luca, the owner of Soul Kitchen: THE vegan restaurant par excellence in Turin! In fact, this restaurant is now synonym of vegan cuisine here. Luca is what we locals call a "new Turinese" to indicate he's originally from outside Piedmont. 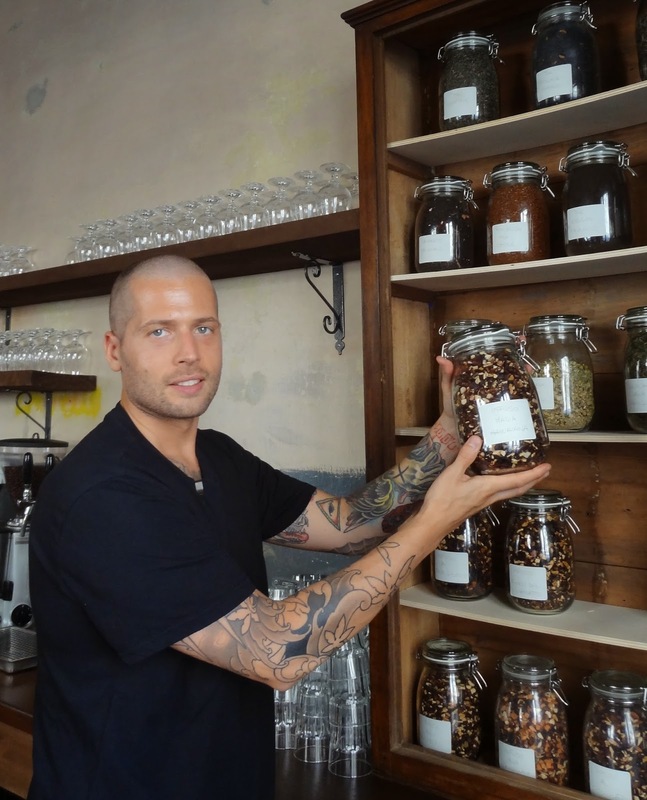 He's almost 30 and has proudly been a vegan since he was 18; after a career in the fashion industry, he decided to take a break and travelled the world to experience new cultures and foods. He's been all around, especially South East Asia. Since always on the animals' side, he has cut animal products out of his diet and researched to offer the best cuisine in Italy, not only playing on flavors, but also on textures and temperatures. In his kitchen, ingredients are like prisms you can put together, overlapping, mixing and matching according to many factors to create different compositions. A plate after all is a bit like an ikebana, a living arrangement of flowers. When you look at his tattooed arms and his very pragmatical demeanor, you could easily picture him eating a burger and fries, however, as soon as he starts sharing his life vision, everything changes. His eyes light up when he shows you the restaurant tea collection, when he explains how everything they serve is local and organic. Even the beer!! The leading principle of Soul Kitchen is nature: following the season, using local products and brands and striving of the highest possible quality for the greater good of the public. This is the secret for its constantly growing public's affection: believe it or not, Soul Kitchen is always full and you have to reserve your table in advance, or you won't even get in, not even during the week for a quick lunch! Looking around the restaurant it isn't hard to understand what Luca and his team did right. First all the location: right near the Giardini Reali - royal gardens, near Piazza Castello and the Porta Palazzo market. Then the sophisticatedly relaxing ambiance: you come from a hectic city, with a busy agenda and suddenly you find yourself in a very rustic setting, with wooden tables projecting you in a country atmosphere, bicycles on the walls and wine racks of local bottles. As you proceed to your table you take a peek to the open kitchen and one word only can describe it: pristine! Even those foodies who eat but don't cook, feel tempted to get at the counter, stir or blend something! 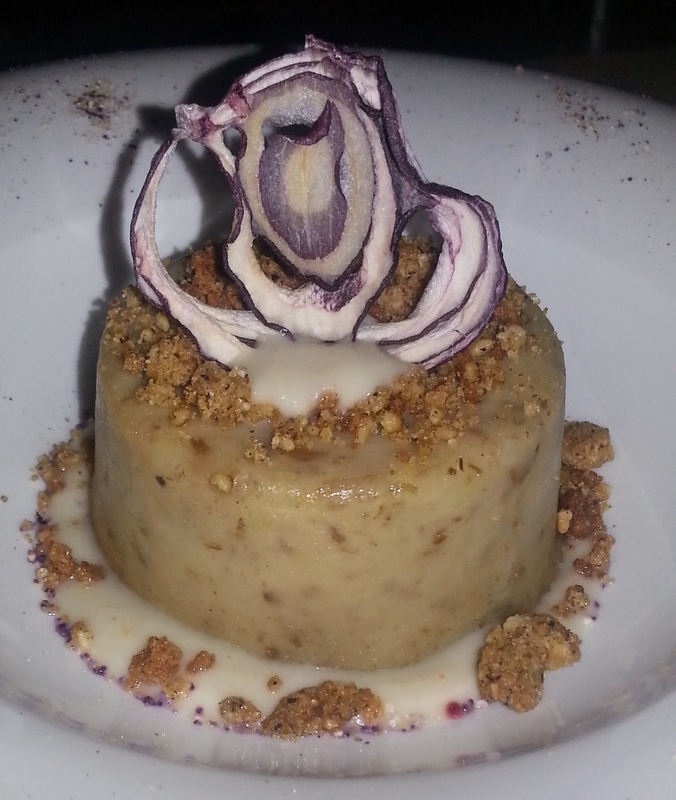 So, you are finally sitting down at your country style table, happily chatting with your friends or colleagues, fully savoring the rich vegan menu and suddenly the time has flown by the Soul Kitchen team gently comes to announce they are closing. Yes, not only you came from the city and spent a dinner in the country but you also entered a totally different dimension, like in a natural bubble, time is a different parameter. The good news is you can make another reservation to secure your spot another once and especially if you chance month, season or even only time of the day. the menu will totally change as the seasons change! 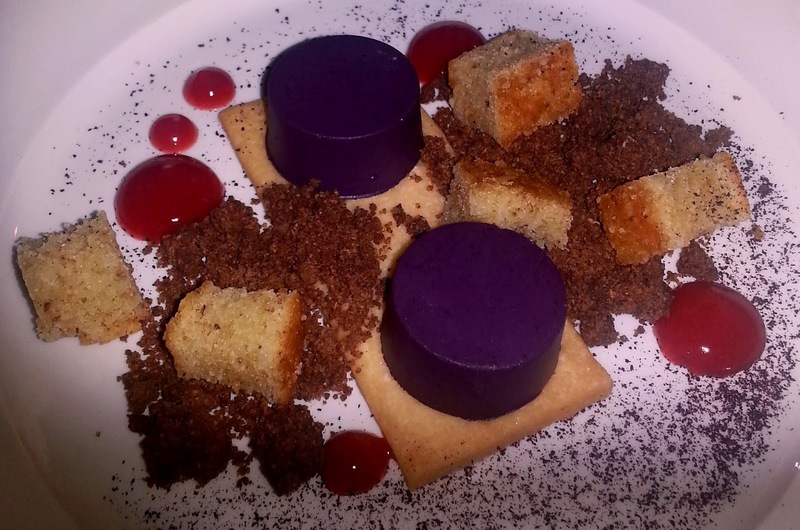 In November, we enjoyed a Fall menu: an outstanding chestnut beer risotto, an amazing porcini mushroom soup and two masterpiece desserts: 3 texture chocolate, cream & coffee and a Fall symphony made of shortbread cookies, chocolate and berry coulis! 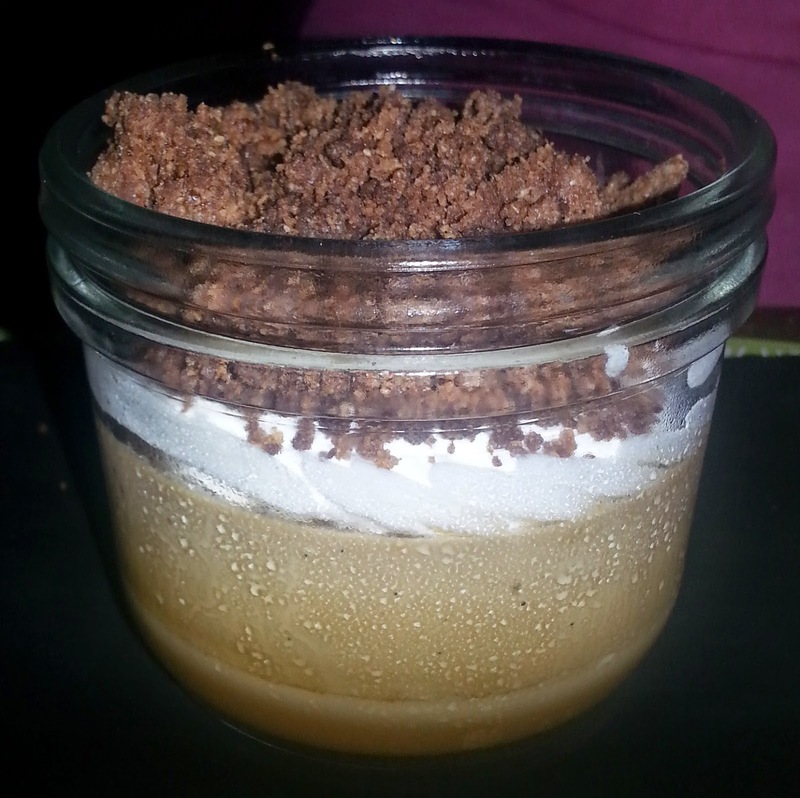 3 texture dessert: whipped cream, crunchy chocolate and coffee, vegan food isn't plain at all!! 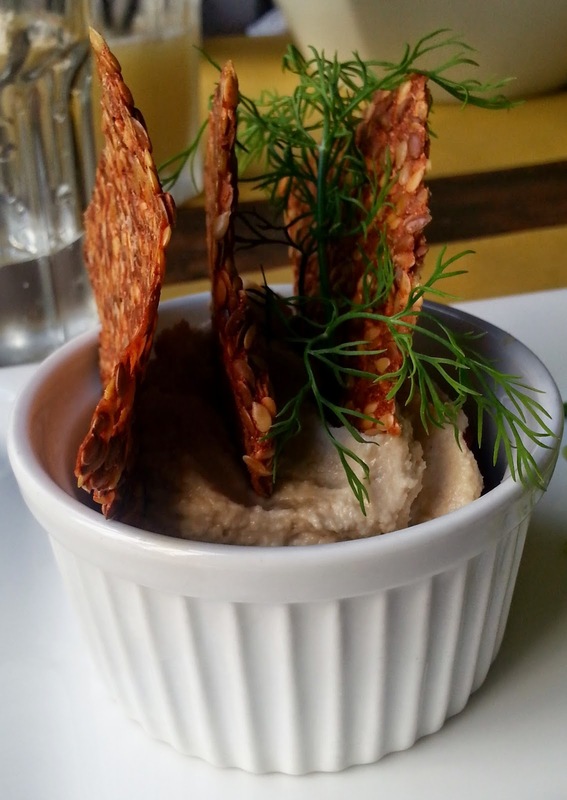 Raw and vegan food lovers, here's another reason to come over to Turin and enjoy high cuisine made in a genuine and local way and served with loving simplicity. Unlike what you might think, this is not a pretentious restaurant and its cost is rather reasonable within Italian standards. As you can see, this is not a chain restaurant, your table is fully tended and each single product is carefully chosen by the restaurant management. The bread is artisanally made by a local baker who grinds his own flour; the beer is from a tiny brewery in the Saint Michael's Abbey area (an 11th century old abbey), the produce and the wines are all from local farmers, producers and winemakers. 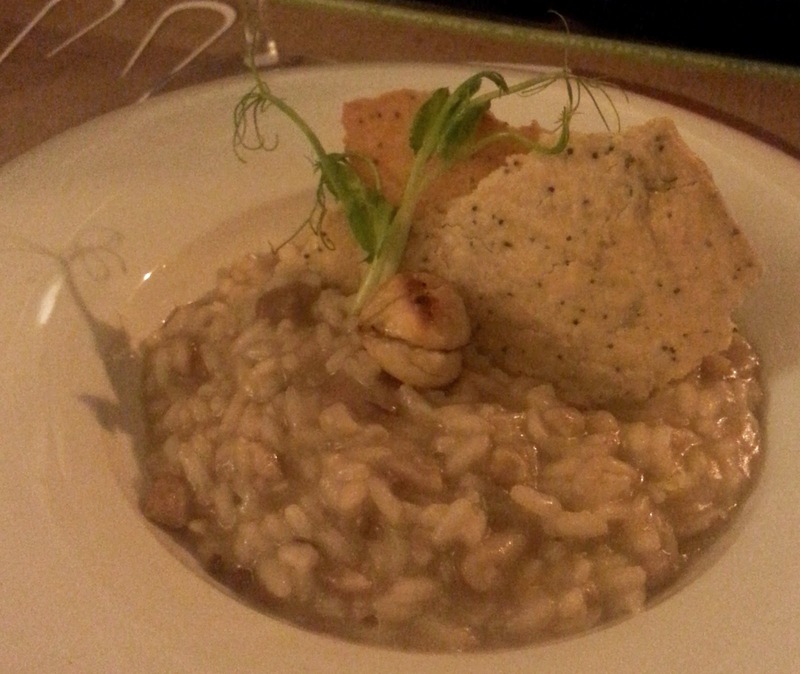 Turin and Piedmont are real epicurean destinations, so get over here and see for yourselves!